Crime novels by Jo Nesbø, cross-country skiing, and happy mountain cabin life under the Easter sun. When American outdoor blogger Silvia Lawrence moved to Norway, she discovered a different kind of Easter. 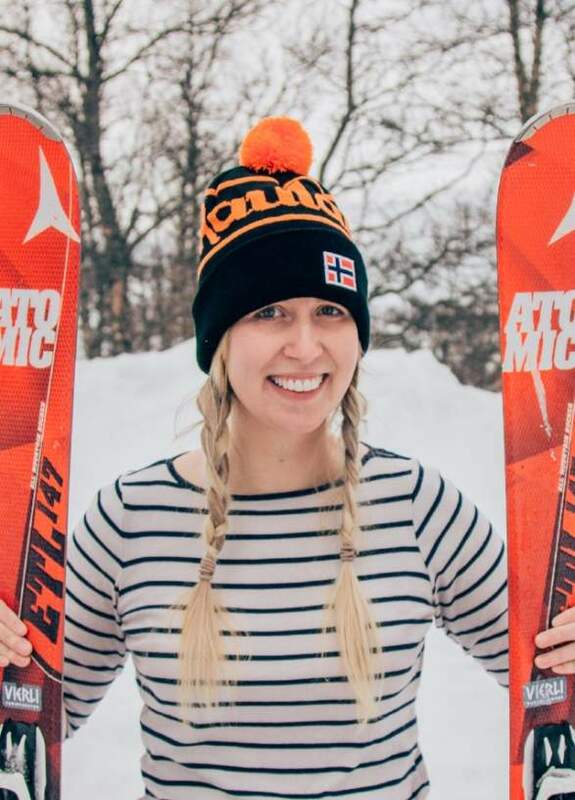 She loves skiing, and she should – because at one point, American Silvia Lawrence voluntarily moved to the Norwegian countryside of Rauland, a winter paradise surrounded by snow-clad mountains. And each spring, when she thinks winter will be over, one of the Norwegians’ most popular skiing holidays starts: Easter. Silvia embraces typical, local Easter traditions and writes about that and other peculiarities on her blog “Heart my Backpack”. Easter in Norway means eating Easter lamb, getting an Easter tan when skiing in the Easter mountains, giving each other giant cardboard Easter eggs filled with candy, and reading Easter crime novels like the international bestsellers of Norwegian author Jo Nesbø. In between the crime novels, Norwegians go skiing again, before gathering in cabins with crackling fireplaces – for example one of the many cabins owned by The Norwegian Trekking Association. Urban Easter is the alternative for a smaller cool crowd who prefer to visit cafés and art exhibitions when the rest of the pack head for the mountains. There are also concerts, festivals, and other events going on all over the country at Easter time. “When my local supermarket started selling chocolate Easter eggs at the beginning of February, and everyone went crazy buying them, I knew that Easter in Norway would be like no other Easter I had experienced”, Silvia tells. “In the following weeks I got proof every day that Norwegians really are into this holiday”, she adds, and assures that Norwegian Easter is very different from the same celebration in her home country, USA. To Silvia, it seems like the whole country goes a bit crazy during Easter. At the same time, she thinks there is a lot to love. Living in Rauland, which is a big ski destination, Silvia feels that the long-lasting Easter celebration can sometimes feel a bit overwhelming. The happy facial expressions will turn more serious when Norwegians all routinely pick up their crime novels, which has become a tradition that is seemingly unique to Norway. Easter in Norway means horror fiction. Norwegian Easter celebration, as overwhelming as it may seem, does not prevent Silvia from feeling at home in Rauland. Always follow the mountain code when you’re out in Norwegian nature – especially when skiing in the mountains at Easter. The weather can turn quickly, and mild weather can increase the risk of avalanches. #1 Plan your trip and inform others about the route you have selected. #5 Bring the necessary equipment so you can help yourself and others. #6 Choose safe routes. Recognize avalanche terrain and unsafe ice. There is no need to wait until you’re here to find out what you’d like to do. Filter your search and check out the events below.